Fabric might not be the first thing on your mind when you shop for a sofa. But once you've been confronted with the dizzying range of fabric choices, you'll be able to make a better decision if you know some basic information about the textiles and their pros and cons. Sofa fabric types can be divided into natural fibers, synthetics and leather. With many variations in each category, there's a sofa fabric to fit everyone's decorating needs. 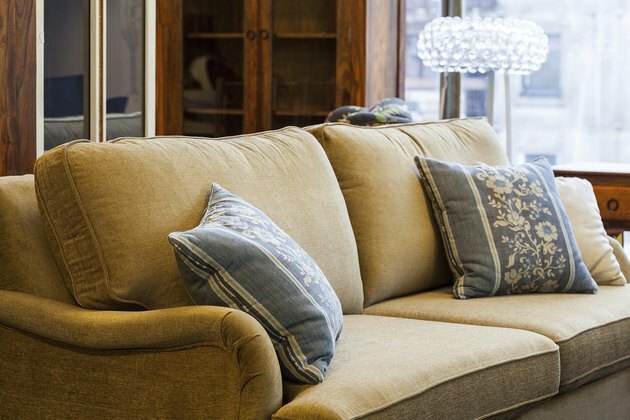 Choose a sofa fabric that suits your budget, lifestyle and decor preferences. Natural fibers include plant-based cotton and linen, along with silk and wool. Natural fibers include plant-based cotton and linen, along with silk and wool. Rayon, the 20th-century addition to natural fiber, is made from processed wood pulp and has a drape and luster similar to silk. You're probably familiar with these fabrics as garments, and they'll have similar properties on a sofa, but are more densely woven. Cotton, linen and wool are the most durable natural sofa fibers, but all are susceptible to damage from sunlight and moisture. Wool should be moth-proofed before use in upholstery. Keep in mind that even though they are called "natural," these fibers may be highly processed and treated with synthetic dyes and chemicals. If you are seeking to avoid these chemicals, look for cotton labeled "certified organic." The most common synthetics for sofa fabrics are polyester or polypropylene, nylon, acrylic and olefin. Synthetic fibers are petroleum products made by extruding the chemical into fine strands to be woven into fabric. 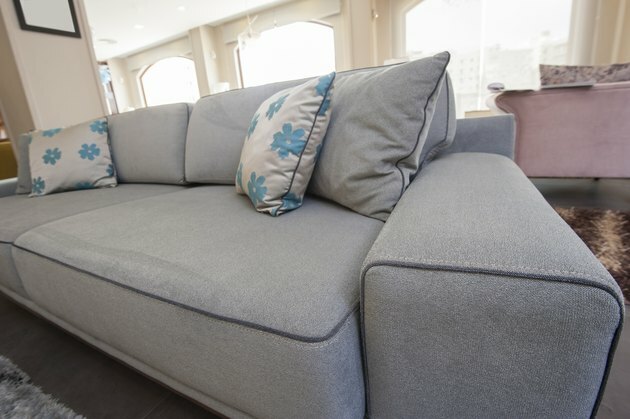 The most common synthetics for sofa fabrics are polyester or polypropylene, nylon, acrylic and olefin. These products are often blended with natural fibers to add durability, and resistance to stains and fading. Some synthetics are made to resemble natural fibers -- for example, acrylic is similar to wool in texture and appearance. Microfiber fabrics, usually made of polyester, are densely woven or nonwoven with a short nap that gives them the feeling of suede. Noted for durability, microfiber upholstery is favored by pet owners because it resists staining and claw marks. Although leather -- a processed animal hide, usually cow -- is not a fabric, it's prized as a luxury covering for sofas. The highest quality leather is top-grain, which uses the entire thickness of the hide and reveals the skin surface. 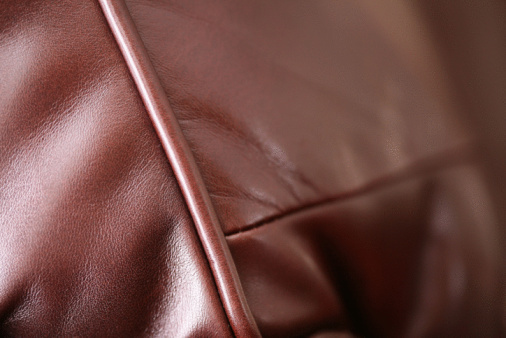 Split-grain and suede leathers are thinner, because the hide is split in two, and show a cut surface rather than skin. These leathers can be dyed in a range of colors as well as the more natural-appearing browns and tans. Composites, known as bi-cast and bonded leather, and artificial leather products are also available. Some of these are very attractive and difficult to tell from genuine leather, but they may not wear as well and are difficult to repair if damaged. 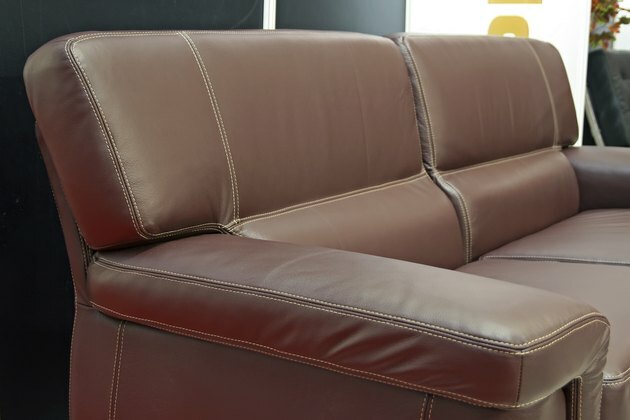 To reduce costs, some manufacturers may combine different leather types in one sofa. Manufacturers should disclose this practice on every piece of furniture where it is used. The best choices for budget-conscious sofa buyers are cottons, synthetics and blends. Families with pets and active children should look for these fibers in sturdy weaves, such as denim, twill or microfiber. Investment-minded buyers will appreciate quality leather coverings and traditional fibers such as linen, silk and wool. The style of the sofa is another consideration when choosing fabric. For contemporary and Mid-Century Modern sofas, look for solid colors or modest, tonal prints in flat weaves such as twill, or herringbone and other lightly textured weaves. Floral prints and textured luxury fabrics such as damask and velvet are suitable for traditional and period sofa styles.